If you’d like to see all the other recipes I’ve tried so far, click here. Today’s recipe comes from Allrecipes.com. For years before Pinterest and before I started blogging, Allrecipes.com was my go-to for recipes. I always liked that you could check out ratings and reviews from other people who had tried the recipe. Of course, these days, I typically search Pinterest or a reliable blog for a recipe instead. But I’ll still glance through allrecipes.com from time to time. I think those recipes that have a 4-5 star rating with tons of reviewers are almost always worth taking the time to check out, and I definitely thought it would be worthwhile to include their top-rated Chocolate Chip Cookie recipe in my experiment. I was pretty pleased to find that this recipe closely resembles my current go-to recipe that I’ve used for years, right down to dissolving the baking soda before mixing. I really, really liked these. 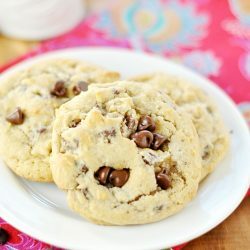 I felt like the buttery/salty flavors were perfectly in tune with the rest of the cookie flavors, and the texture was just right too– soft and chewy (maybe even slightly underbaked) in the middle, with a good crunch at the edges. With a 4.5 star rating out of over 6.5K reviews, I’d say this cookie is well-deserving of it’s rank! With a 4.5 star rating out of over 6.5K reviews, I'd say this cookie is well-deserving of it's rank! I felt like the buttery/salty flavors were perfectly in tune with the rest of the cookie flavors, and the texture was just right too-- soft and chewy (maybe even slightly underbaked) in the middle, with a good crunch at the edges. Using an electric mixer fitted with a paddle attachment, beat together the butter and sugars until creamy. Mix in the eggs, one at a time. Mix in the vanilla. Dissolve the baking soda in the water and add to the mixture. Add the salt and mix. Add the flour and mix just until dough forms. Fold in the chocolate chips. Scoop onto a lined baking sheet. Bake for 12 minutes (if using a 56mm scoop for larger cookies) or 10 minutes (if using a 37mm scoop for smaller cookies). Let cool on baking sheet before transferring to a wire rack. oh yes these DO look like they deserve their rank! Sometimes the classic cookies, the ones that are pretty ‘standard’ are the best ones – although I’ve never dissolved the baking soda in water before in cookie recipes – so that’s new for me. But they sound great and so close to your existing go-to! Pinned! I’m a long-standing fan of allrecipes, too! 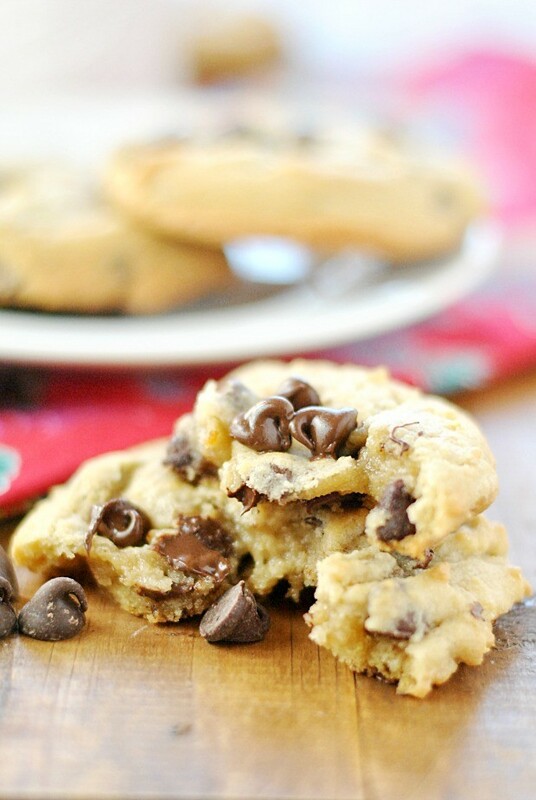 My fave chocolate chip cookie recipe on there is called something like “Best Big, Fat, Chewy Chocolate Chip Cookies.” If you want to add one more to your experiment, they’re really fun. These look amazing as well! I love that center! It’s a little under baked on the inside and perfect on the outside. That is a must when making chocolate chip cookies! I’m excited to try these! I love this experiment as I have also been searching for the BEST CC cookie recipe for years. After tasting the Levain Bakery chocolate chip cookie with walnuts this past summer in NYC, I have to say I WISH I had that recipe. Have you had them? They are so, so delicious. Hoping you might find a good copycat for them. Thanks. These look really good!! This experiment has been fun to read! So you don’t have to refrigerate this dough?? Hi Ashton. Just a quick question. 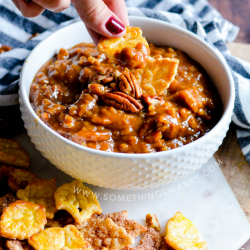 Do you use recipes from other bloggers too? 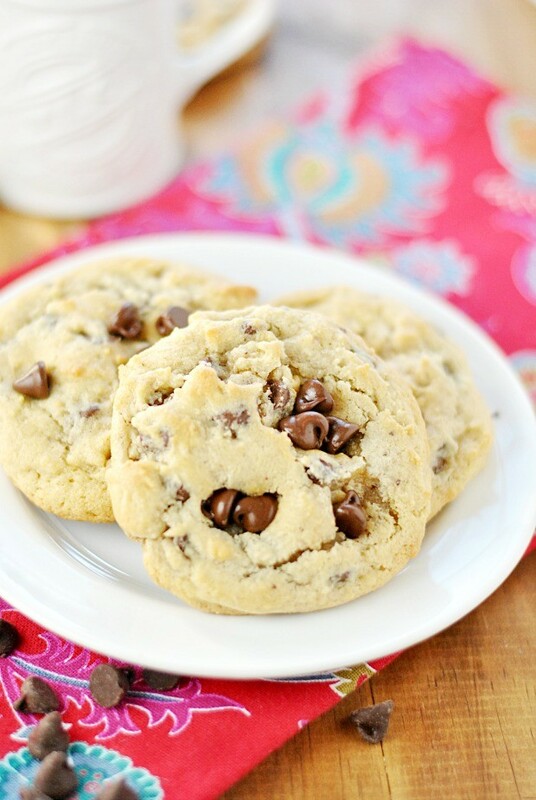 If you do, in my opinion, the best recipe for chocolate chips cookies is from oh my sugar high. The best ever!!!!! !